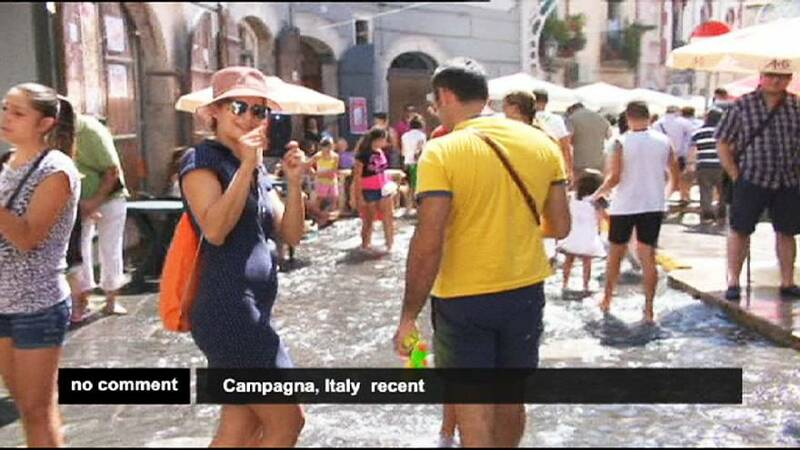 Every summer, the streets of the village of Campagna, on the hills near Salerno, become a stream where locals and tourists bathe, refresh themselves and throw bucketful. A dozen times during the season, the river Tenza is deflected from its natural course, through an artificial channel that picks up water and brings it along the city streets. The feast is called, in local dialect, “A Chiena” (in Italian, “La Piena”, “The River flood”).